The AC550BH Legend series features the Hagmann system for bass trombone. Swiss manufacturer Rene Hagmann was the first to partner with Courtois and develop the system that is winning more players every day due to its uniform blow, easy response, and clarity through the valve registers. 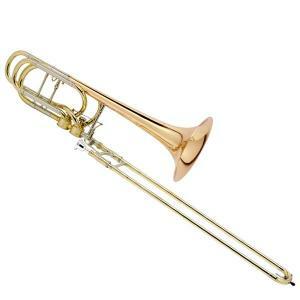 The 9 1/2″ one piece yellow brass bell is clear and focused with plent of finesse and power. The handslide is .562 bore and fetures an ergonomic hand grip.